1. 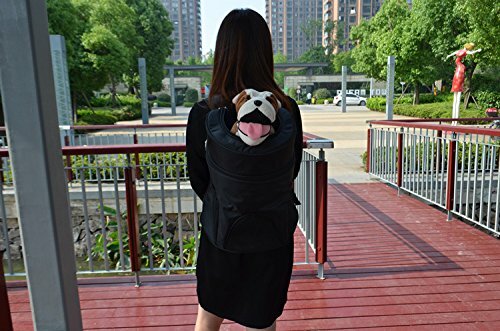 High Quality Material Pet Backpack - Made of premium polyester material and EPE foam padding, soft- sided pet carrier is sturdy and washable. 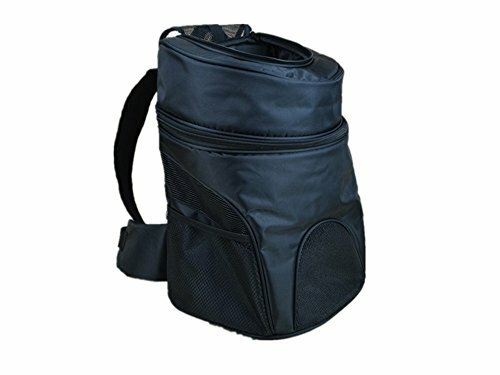 Easily carry in front or on back, keeping it safe and comfortable. 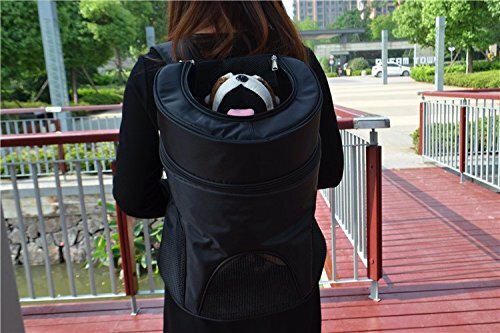 It's fashionable pet carrier bag with specially designed for people who like to carry their lovely pets to the outdoors. Great for any outdoor venture, camping, hiking, walking the park and indoor events. 2. Mesh Design for Ventilation & Visible, Mesh Pockets for Storage - Mesh window and top panel are designed for safety, ventilated and visible, making your pet breathe freely and relax. Zipped top entry allows for easy access. Mesh side pockets help store leash, whistle, water, snacks, treats and other necessities. 3. Padding Panels & Removable Bottom Cover - With EPE foam padded back and sides, pup pack help your pet enjoy a nice nap. Removable bottom cover makes it easier to clean. Permeability is very good, easy admission, two-way zipper, easy disassembly, travel convenient. 4. Airline Approved & Ideal for Outdoor Trips - Airline compliant dimensions for pets. It's great for sightseeing, camping or trips to the vet. Is your lovely pet tall and light, or small but heavy? Remember to measure its dimension firstly; a carrier should be a comfortable house for your adorable pet. 5. 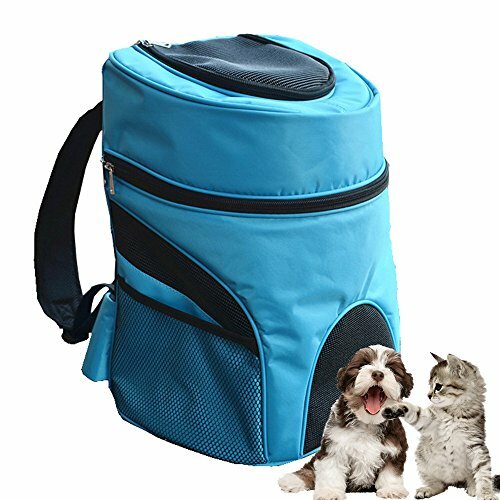 Convenience and Comfortable Pet Carrier - Pet carrier is the perfect combination of convenience and style. Carrier belt over shoulders frees your hand while the pet rests in the pouch keeping it secure and comfortable. Carrier size: Medium: 13.38 x 9.05 x 14.96inch. Recommend Pet Weight: ? 14.33 lb; Large: 15.35 x 10.62 x 17.71inch. Recommend Pet Weight: ? 22 lb.